Waste from potato crops could be recycled into medical gels and beauty creams thanks to a new University of East Anglia (UEA) research project. With colleagues from the John Innes Centre (JIC), the University of Bath and the University of Exeter, UEA will pioneer new products for the pharmaceutical, beauty, home product and food industries. Thanks to a £2.8m grant from the Engineering and Physical Sciences Research Council, the Biotechnology and Biological Sciences Research Council and the Innovate UK IB Catalyst Programme, the research team at UEA will receive around £800,000 for the four-year project. Prof Yaroslav Khimyak from UEA’s School of Pharmacy said the gels could have a range of uses from cosmetics and beauty products to medical wound-healing and drug delivery creams. “As well as helping reduce waste, this project will also reduce production costs and CO2 emissions currently associated with the manufacturing of conventional gels,” he said. Prof Rob Field from JIC said the project brought together science and engineering in a targeted manner: “It needs a multi-disciplinary team to devise practical solutions that map to industry needs,” he said. The team will investigate how enzymes can be used to make starch-based gels using nanoscale fibres. 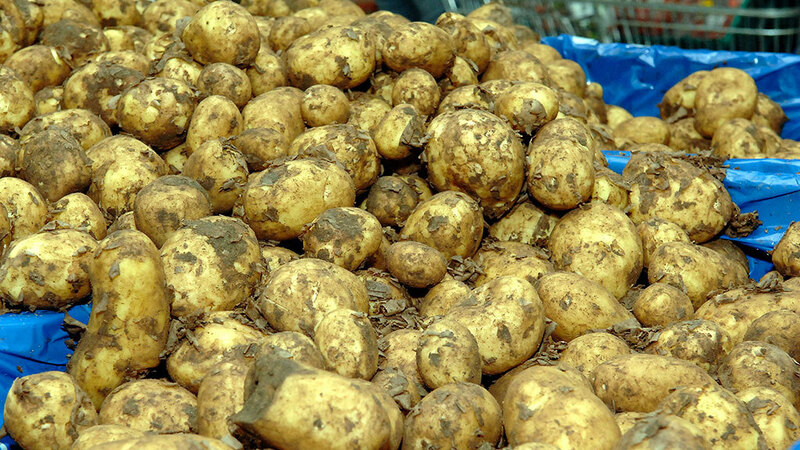 Dr Jesus Angulo of UEA’s School of Pharmacy, said: “This is good news for potato farmers because it means waste crops could soon be put to better use. “Cellulose is a truly sustainable, renewable and multi-functional natural material and starch is a highly abundant natural polymer, found for example in potatoes and rice.